Our regular Friday Night Boot Camp volleyball instruction class for Beginners at Veterans Leisure Memorial after a tough practice...strike a pose! Vegas volleyball coaching! Nine years and running! I've provided volleyball instruction to Las Vegas collegiate, high school, middle school and youth players and coaches for more than eight years now. I love teaching volleyball skills. As a player, I was taught early in my playing career by former Olympic players and elite coaches and what I learned from them, worked! 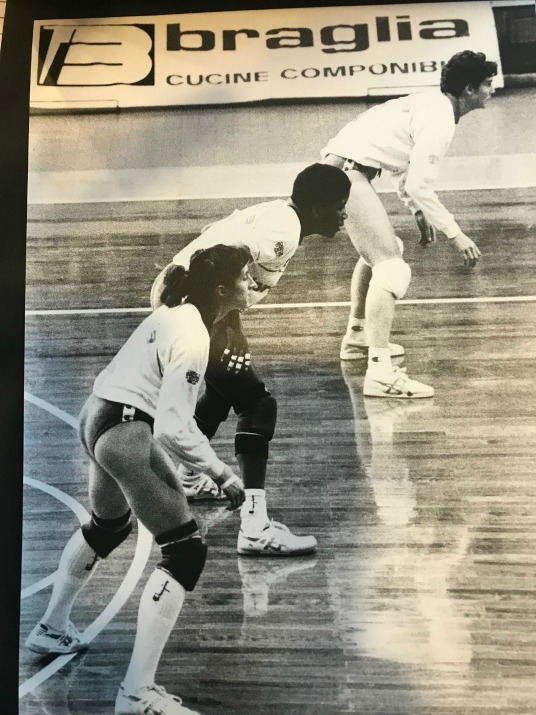 Me, with teammate Paula Weishoff, three-time Olympian and current Concordia Irvine head volleyball coach during the 1990 Division I Italian championship finals. b) through what I share on this site and social media is one of my favorite things to do. With that said......let's get started! You came here to improve your volleyball skills so let me tell you about the advanced instruction, weekly classes and semi-private training opportunities. Learn more about the weekly advanced volleyball instruction offered to varsity level, elite, USAVHP and collegiate athletes taught by me, Coach April Chapple. 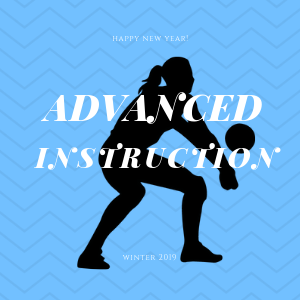 For 2019, specific volleyball instruction boot camp classes and clinics are offered weekly for varsity, elite and USA High Performance level and collegiate players. Scroll below for more information on who qualifies, how to register and class locations. 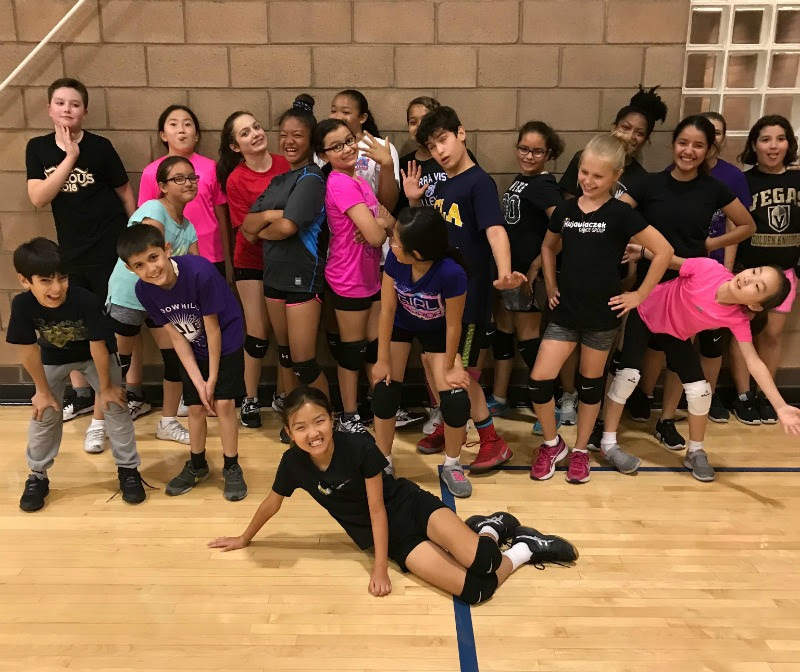 Click to learn more about the weekly volleyball classes offered by the City of Las Vegas and taught by me, Coach April Chapple. Click the "Weekly Classes" tab above to view our class schedule and information page where you'll learn about class times and days, ages and skills requirements, along with directions to facilities and things to know before coming to your first class. Click to learn more about the new semi private training opportunities taught by me, Coach April Chapple. 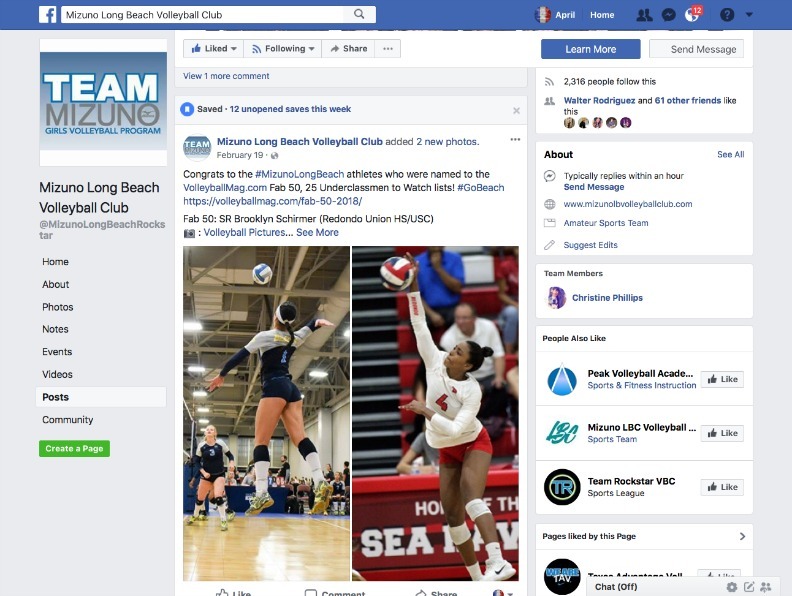 Find detailed information about the new 2019 pricing and class packages offered for semi-private training sessions and private volleyball instruction provided by Coach April and the award-winning Boot Camp class coaches. No walk-ins! Contact Coach April before coming to your first class. Formerly, the 10:30 invitation-only Saturday Breakfast Club at Stupak is now on Wednesdays from 4:30 - 6pm at the Chuck Minker Sports Complex. You MUST contact Coach April before coming. If you've never attended a Breakfast Club Class before... call, email or text Coach April BEFORE making the trip. If you dont know what it is ...you need to find out BEFORE Wednesday and before coming to Chuck Minker, otherwise you won't get in. Varsity/Elite/ USA High Performance and collegiate players only. VERY, VERY Advanced Division I style of training- focusing on technique and basic skills for players who can maintain the elevated speed, focus, stamina and concentration. On your first visit you will need to allow for 10 minutes of paperwork to be filled out before class begins at 4:30 at the front desk. $10 payable at the front desk. The Thursday night volleyball Boot Camp class is best for experienced varsity high school players who are motivated to take their volleyball game to the next level (college) and need to perform the six basic skills at faster more intense levels under pressure. Off the I - 15 Exit Sahara: Stupak is one block west of the Stratosphere across the street from the parking lot. Off the 515 take Eastern Exit to corner of Mojave and Eastern. Huge parking lot. Adjacent to Palo Verde High School in Summerlin. ...Kami a three year Volleycats Elite club member and three year Volleyball Voices Boot Camp Class, Clinics and Competition/Breakfast Club regular and private training client with Coach April was named to the prestigious VolleyballMag.com "The Volleyball Magazine 2018 ..........25 Underclassmen to Watch LIST.......as a FRESHMAN!" UPDATE: Kami won a gold medal with the 2018 Girls National Youth Training Team this summer and was one of fourth youngest setters on the team! We miss you Kam....keep up the fantastic work...super proud of you! Kami Miner, three year Boot Camp Class/Breakfast club regular and private training client with Coach April was named to "The Volleyball Magazine 2018 25 Underclassmen to Watch LIST as a FRESHMAN!" Click to learn more about the weekly advanced volleyball instruction by Coach April Chapple. 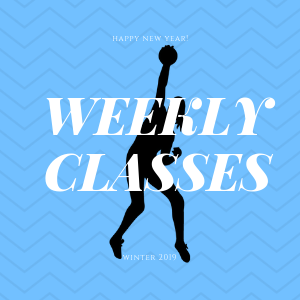 Click to learn more about the weekly volleyball classes. 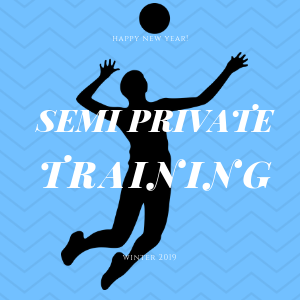 Click to learn about the new 2019 semi private training opportunities.